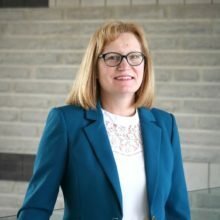 Bringing a fresh perspective to post-secondary, Lucy Moore has significant experience in administration in K-12 education prior to joining the post-secondary world. This perspective has forced her to ask questions in order to learn and understand. Lucy is organized, thorough and dedicated when assigned a task. A main focus is not duplicating work already done and aligning current work with the Comprehensive Institutional Plan. Her whole career has been focused on a student-first approach and the SEM Again project has sparked a re-vitalized interest in making a difference for students at Keyano College. Copyright © 2019. Brainstorm Strategy Group Inc.